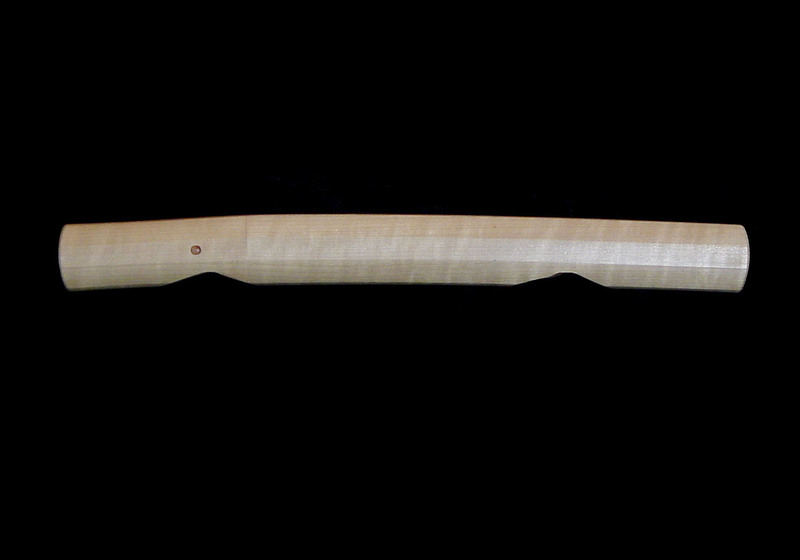 This is an elegant little tantô made by the Muromachi era Bizen smith, Yukimitsu. The full signature reads Bizen (no) Kuni Ju Osafune Yukimitsu Yosagoro Kore (o) Tsukuru. 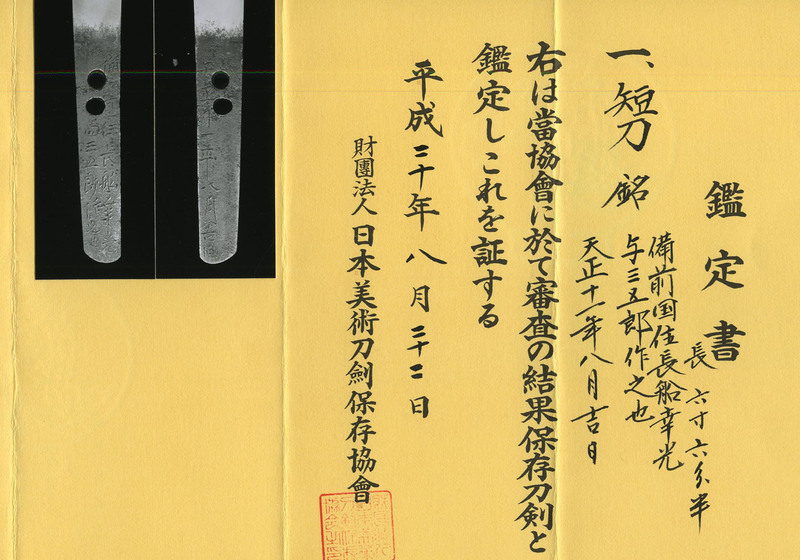 It is dated as being made on a lucky day in August of the eleventh year of Tensho (1583). 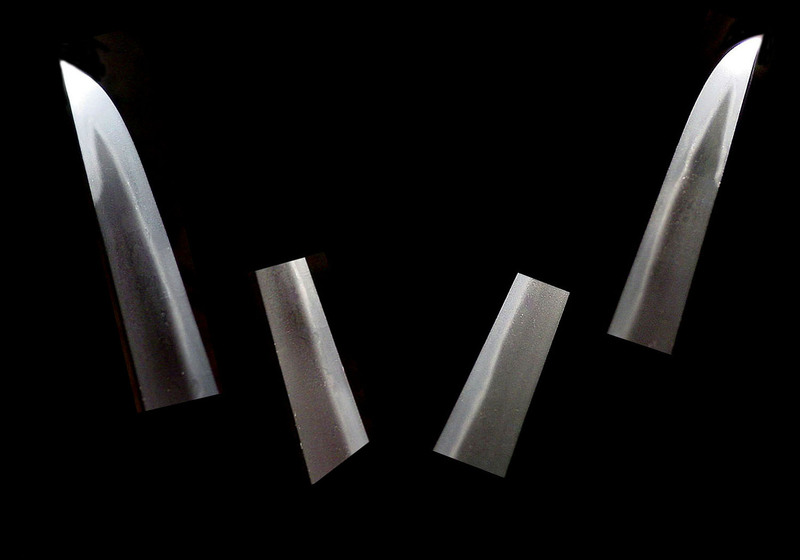 Among the Sue-Bizen smiths, the extant works of Yukimitsu are rather rare. He was from the Ko-Zori branch of the Bizen school. 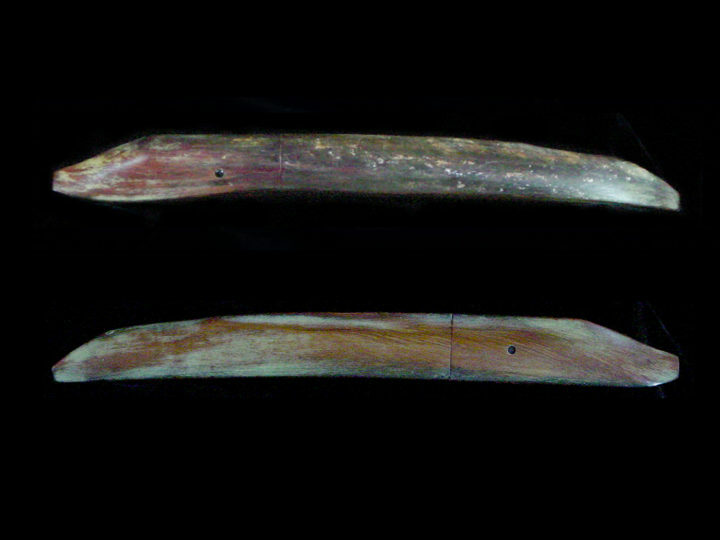 This is a somewhat narrow tantô measuring 7 15/16 inches or 20.1 cm in length. 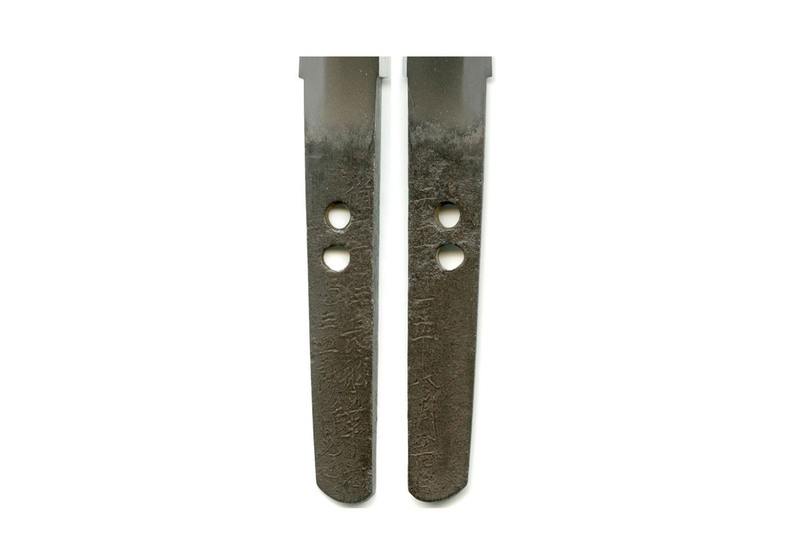 The moto-haba is 0.76 inches or 1.9 cm and the saki-haba is 0.52 inches or 1.3 cm. 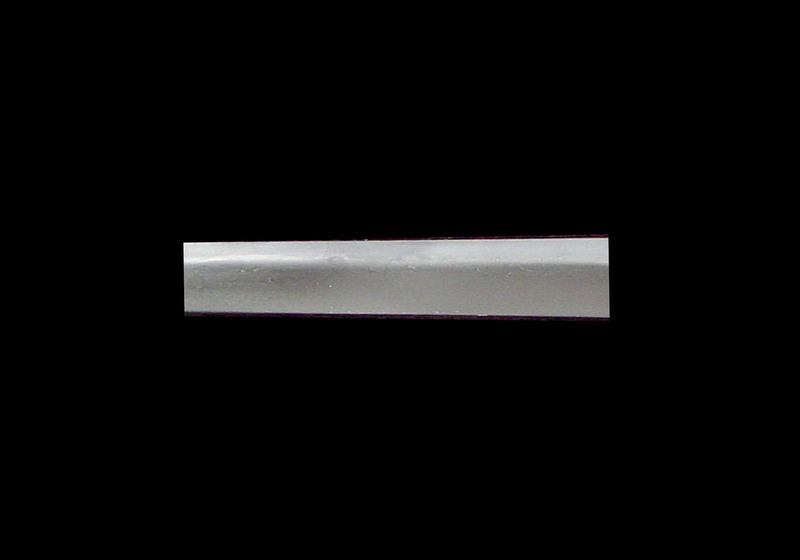 The kasane is 0.24 inches or 0.06 cm. It is hira zukuri in shape and is extremely healthy with no flaws or problems. 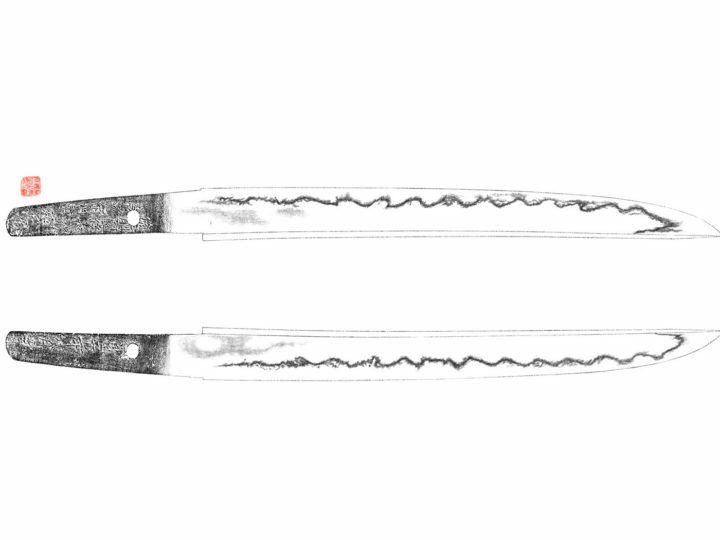 The hamon is a gently undulating ko-midare with a sharp ko-maru turn-back that extends about 2 inches down the mune. The nioi guchi is bright and clear and there are some very nice activities in the ha. The hada is a tight ko-itame with some areas of mokume. There is clear utsuri present in the ji. 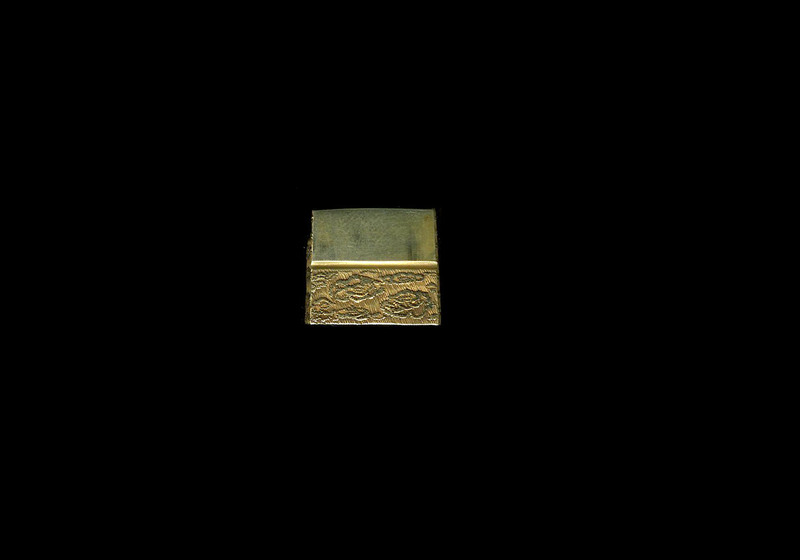 It has a thickly gold wrapped habaki with clouds carved into its surface. 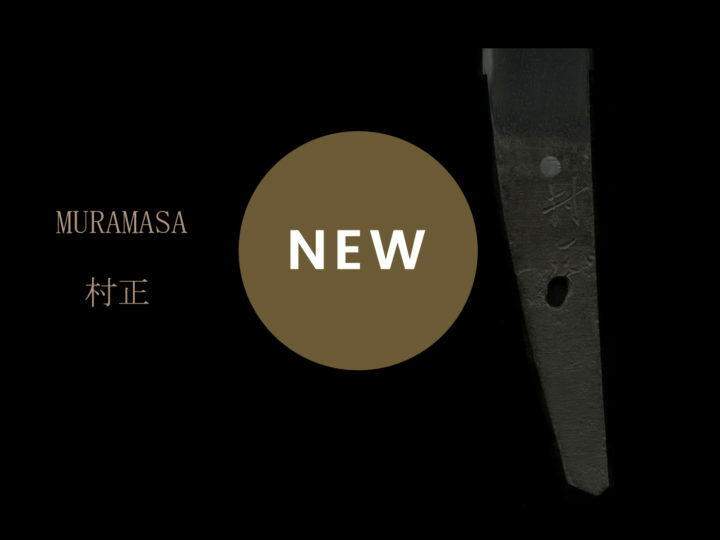 It is in fresh polish with a new shirasaya. 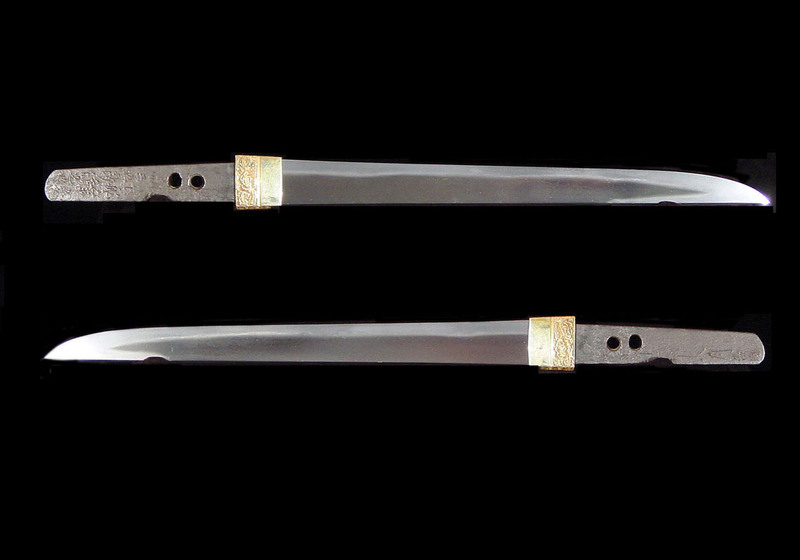 It comes with NBTHK Hozon Token papers attesting to the validity of the signature and the quality of the sword. 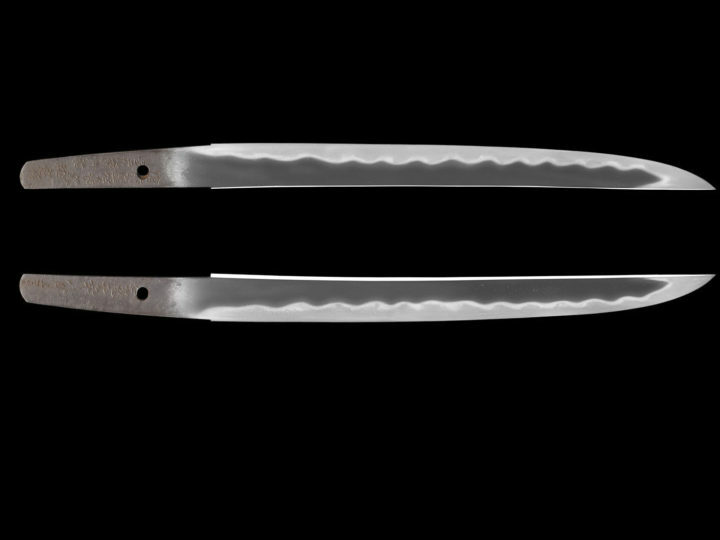 The blade also comes with some very tasteful koshirae. 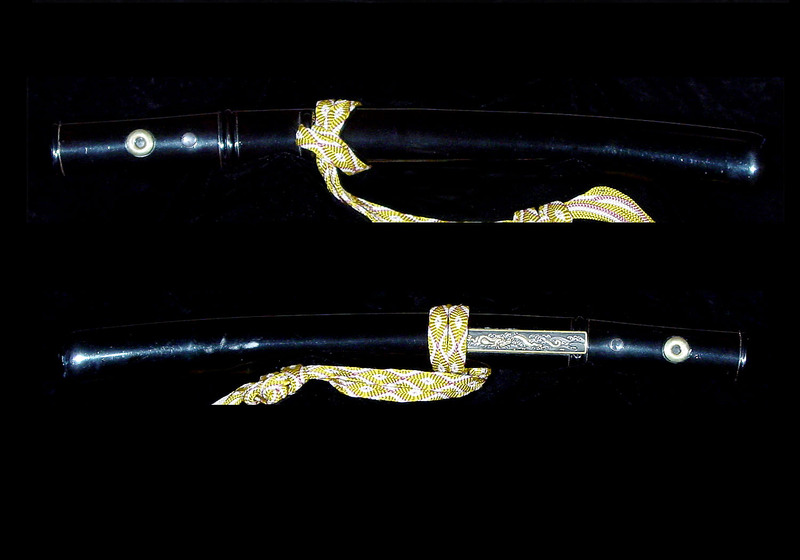 The koshirae is of the aikuchi style and done in black lacquer with large golden circular ornaments on the tsuka. The menuki are plain shakudo and they screw together. 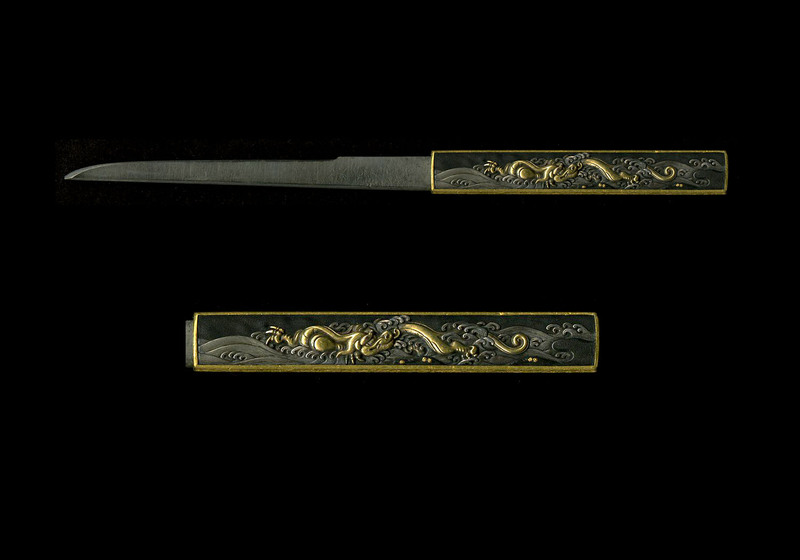 There is a lovely kozuka of a golden dragon frolicking among silver waves with a shakudo nanako background. The reverse is signed, but I cannot read the signature. 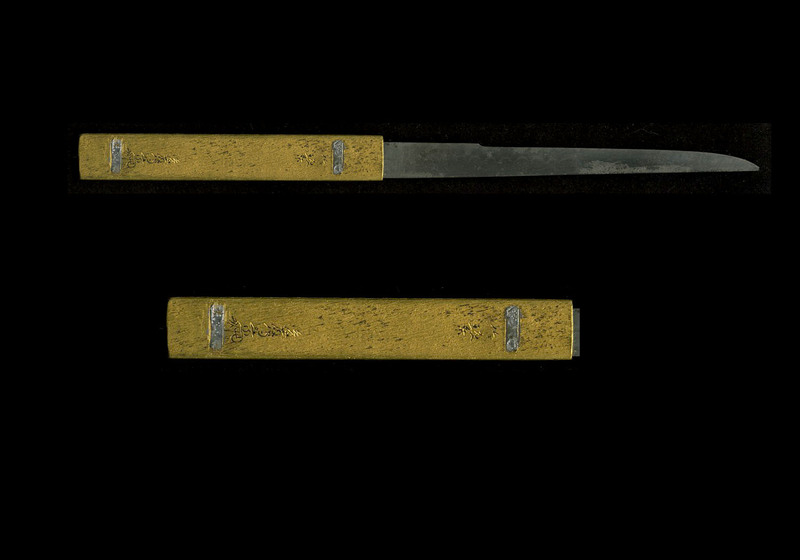 The blade in the kozuka is not signed. 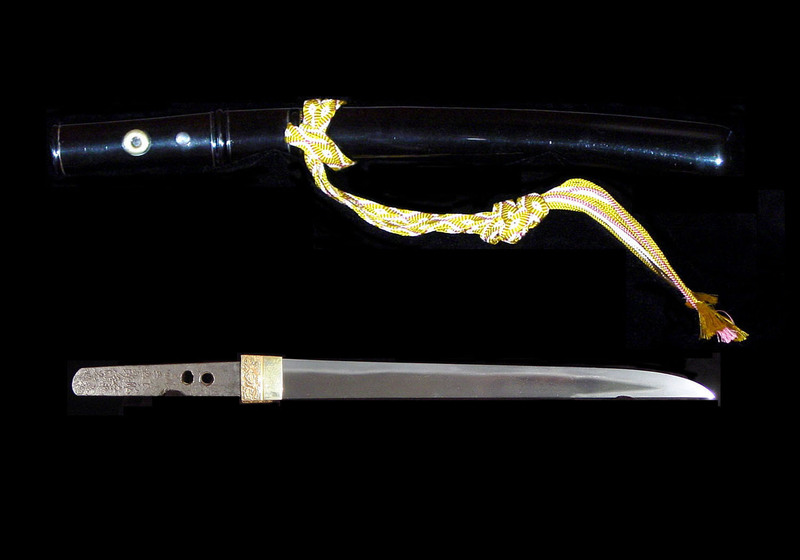 This is a wonderful piece of Samurai history that was made around the end of the warring era during one of the most famous periods of Japanese military history. The age of Hideyoshi and Ieyasu.